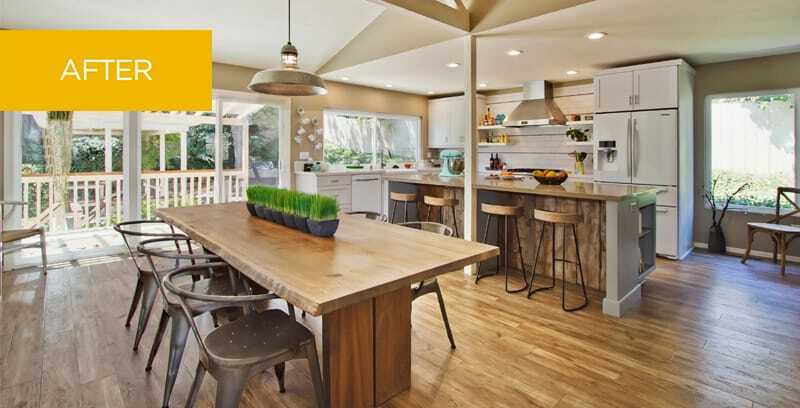 This kitchen remodel combines the most appealing elements of rustic and modern aesthetics. Our clients had just purchased their home and moved in with their rambunctious and beloved dog, Peanut. 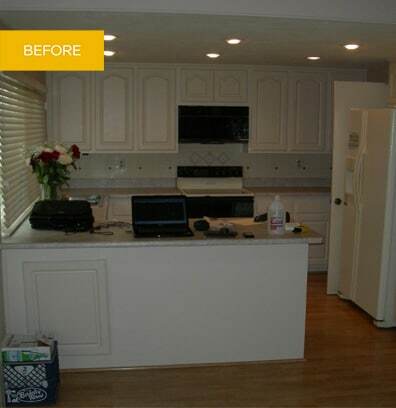 They needed a new kitchen design better adapted to their lifestyle and more expressive of their personal styles. As active members of their church community, the couple often invite large groups of people into their home. They wanted a welcoming, open kitchen space that would accommodate large groups comfortably, yet still feel like “home” without company. Honoring the clients’ desire for warm tones of wood, expansive space, and a blend of both rustic and modern spirit, our designers created structural and visual solutions. The result is an extraordinary kitchen that accommodates the homeowners and their guests with comfort and imagination.